Oftentimes, one’s belongings contain antiques, one-of-a-kind items inherited from ancestors or purchased for thousands. Either way, they are worth the investment of paying a professional mover to pack and move them. The first step in moving one’s antiques is to have them properly appraised to determine their value for insurance purposes. There are many ways to find a professional appraiser. One way is to acquire a list of licensed and certified appraisers through the American Society of Appraisers’ website at www.appraisers.org, or by calling 800-ASA-VALU. Another way to find an appraiser is through one’s homeowners’ insurance policy. Attorneys can also provide lists of professional appraisers, as can the Yellow Pages. Regardless of the appraiser chosen, be sure to photograph or make a video recording of all your antiques and fragile items, in case they are damaged during the move. 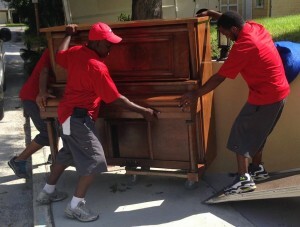 Before moving day occurs, informing the moving company about the antiques and fragile items that need to be moved is paramount, so that the movers may come prepared with the proper vehicles and equipment to move your prized possessions. It is also important for accurately pricing the move. Once a professional mover is aware of the antiques and fragile items that must be moved and their value, the mover can provide information about the type of protection that can be offered. Before releasing your antiques to the movers, make sure that they are aware of what needs to be moved and the necessary special care that you would want them to take when it comes to packaging, i.e. using thick pads, crates, etc. A quality mover will be aware of exactly how to pack to your fragile and antique items, and will have plenty of materials on-hand to ensure their safe travel. When your antiques and fragile items arrive at their final destination, be sure to thoroughly check them for damage, and report any found to the mover right away. Last, but not least, you can breathe a sigh of relief that your precious property has arrived unscathed. 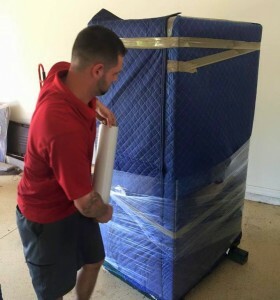 While it is possible for one to pack fragile and antique items on one’s own, hiring a professional mover with experience in handling delicate property is the best course of action to ensure a successful move.